What Is Aloe Good For? Does Aloe Vera Juice Treat Skin Cancer? Aloe ferox may help treat IBS, skin wounds and other medical conditions. 1 What Is Aloe Good For? 2 Does Aloe Vera Juice Treat Skin Cancer? 4 What Are the Benefits of Extrapone Nutgrass Root? Aloe ferox comes from a hearty, succulent plant grown in arid conditions such as those in South Africa. Floridata.com, a flora database, notes that other common names for aloe ferox are cape aloe, bitter aloe and tap aloe. The aloe ferox plant yields two different saps. Aloe bitters, drained from the cut leaves, is used primarily for its laxative properties. The aloe gel, extracted from the inner portion of the leaves, is used in health drinks and for skin care. The most common use of aloe ferox is for laxative purposes. For commercial purposes, these products are called bitter aloe rather than aloe ferox. Laxatives are used to purge the intestines and stimulate bowel movements. A study published in 2004 by Alimentary Pharmacology and Therapeutics, by L. Langmead, looked at the effect of aloe on patients with irritable bowel syndrome. Forty-four patients were given either oral aloe bitters or a placebo. At least 30 percent of the study participants on aloe showed either clinical remission, improvement or response compared with only 1 percent of patients on the placebo. It is thought that taking aloe for four weeks may reduce symptoms of IBS. In 2005, researchers from the University of Fort Hare in Alice, South Africa, published a report in the journal Pharmaceutical Biology indicating that compounds from the aloe ferox sap have antimicrobial properties used for treating sexually transmitted infections, or STI. Further study in 2008 by L. Kambizi published in the African Journal of Biotechnology evaluated extracts from aloe ferox for activity against six strains of gonorrhea. Evidence for activity against gonorrhea was observed. In 2002, the International Bibliographic Information on Dietary Supplements published a study by H. Yu studying the effects of aloe on rats with allergic rhinitis. Symptoms of inflammation and nasal mucus were significantly relieved. Research for the use of aloe in the treatment of rhinitis is still in the early stages. Although researchers see promise for using aloe to minimize symptoms of allergies in humans, more research needs to be conducted. In 2008, the Journal of Ethnopharmacology published a study by Jia Yimei comparing compounds from aloe ferox with compounds from other aloe genus on wound healing. Researchers monitored animal models treated with aloe ferox and a group treated with a different aloe compound. They measured the growth of bacteria and fungal spores. 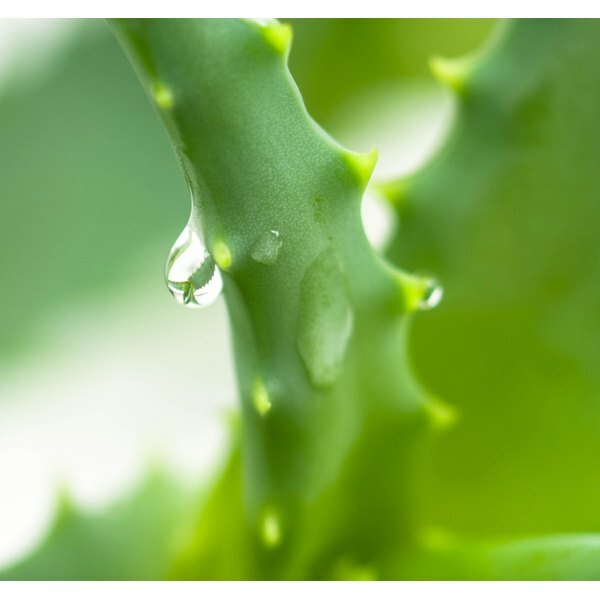 The results indicated that aloe ferox exhibited therapeutic properties, aided in the healing process, inhibited some microbial growth and had no adverse side effects on the skin. The researchers concluded that aloe ferox has legitimate potential as a medicinal application on the skin.